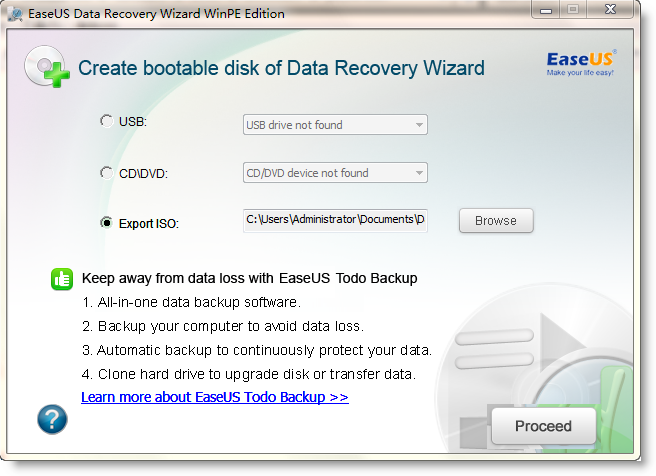 EaseUS Data Recovery Bootable Media is designed for data recovery when your computer fails to boot or you have some lost data located in C drive (e.g. mistakenly delete a file on C drive, perform a system recovery by accident). Since operations on C drive usually creates temp files, and these files would overwrite the lost data you are searching for, this makes you under a high risk of data being permanently lost if you directly start data recovery procedure in Windows. However, with Bootable Media, you are able to recover data from a totally different environment which can prevent any further damage from happening in this kind of case. This article will tell you how to use this edition to recover data. 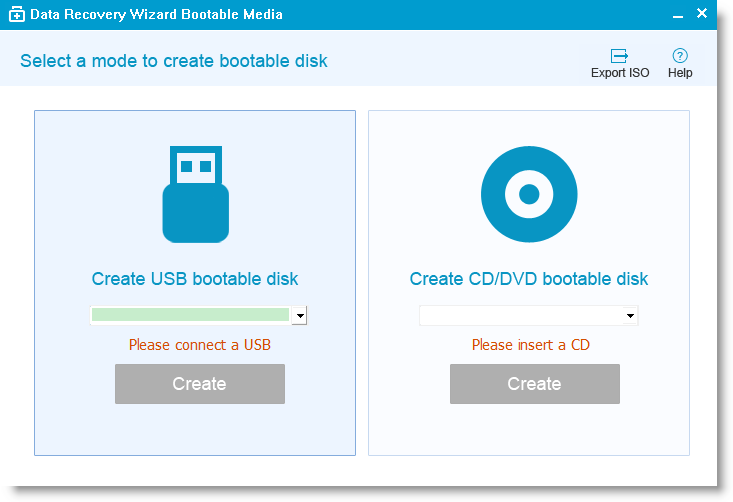 A writable CD/DVD, USB flash drive and external drive are all possible for creating the bootable device. 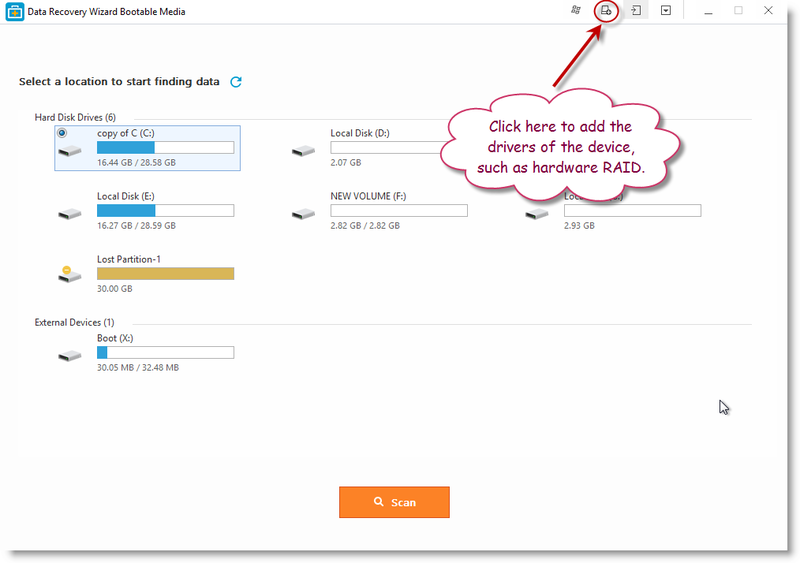 Running the EXE file downloaded after purchase, and select the device you want to create a bootable disk with, click Create to finish the step. For old 7.0 version, click Proceed to create it. 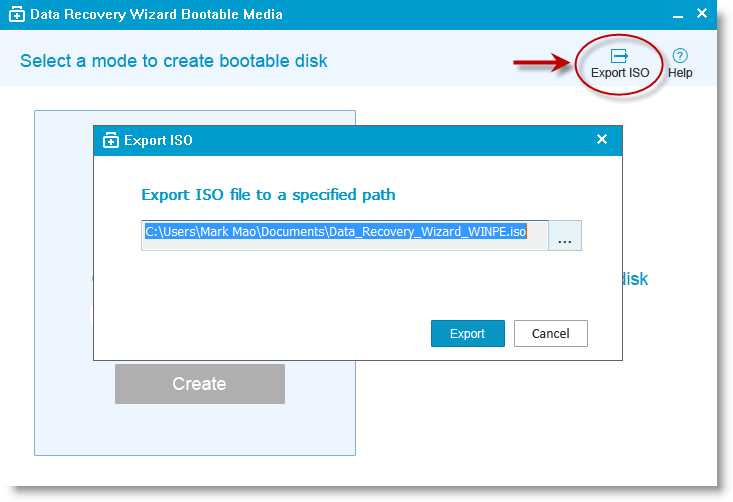 You are able to Export ISO file, then use the other burning tools to create the bootable media. You need to place CD drive or USB-HDD in the first location of your boot queue in order to load from the bootable device just created. For the most time, this can be configured in BIOS setup utility. You can press F2 (for a laptop), Del (for desktop) or a specified key in your brand computer to log in the utility. Below is a kind of BIOS setup utility, yours may look like this or it may look completely different. 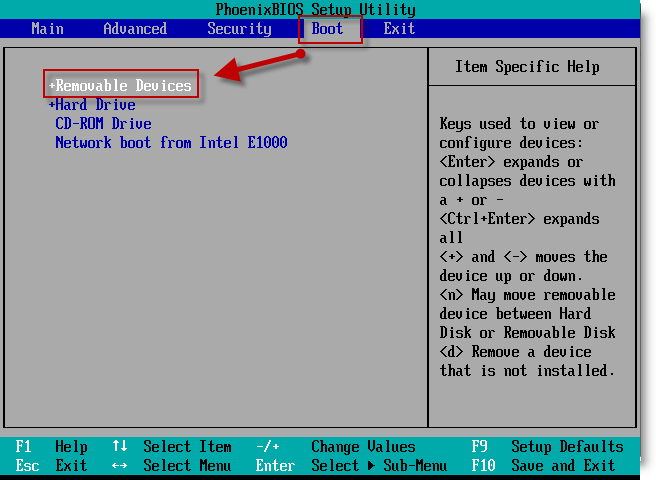 But no matter how your BIOS setup utility appears, they are all basically a set of menus. All you need to do is just find out where the boot menu is and make sure the boot order is correctly modified then. 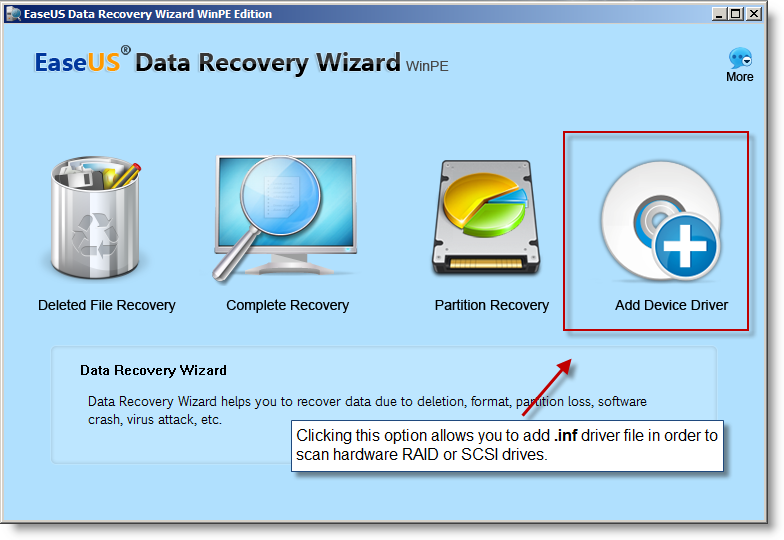 After WinPE bootable disk loaded, follow the guide to start data recovery. For old 7.0 version, the last option Add Device Driver can help you add the driver of your device under WinPE environment, as some specific device cannot be recognized under WinPE environment without the driver installed, such as RAID and SCSI drive. There is no free trial for this edition, if you need to recover data from a failure OS, you need to order it first.